Father David Noone appeared in seven short stories, the first of them in the Ellery Queen Mystery Magazine for December 1963. The author explained, "I always keep him around for just the right type of story". He was the Roman Catholic priest in charge of the "ageing inner-city parish" of Holy Trinity (which he had attended as a boy). By the time of The Sweating Statue story, he was 50 years old and had been at the parish five years. At first he had had an assistant, but he had been "shifted to a suburban parish years ago and (David) been alone here with Mrs Wilkins (his housekeeper) ever since." He was a conscientious, caring priest. 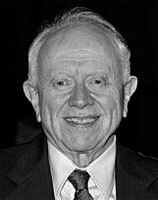 Edward D(entinger) Hoch (1930-2008) wrote over 900 short stories as well as several novels. Hoch (pronounced hoke) was born in Rochester, New York and educated at the University of Rochester. He served two years in the US Army. He worked as a librarian, publisher and public relations officer before becoming a full-time writer in 1968. His first story (it featured Simon Ark) had appeared in 1955. He had the reputation of being the only full-time writer who could survive solely from the sale of short stories. He was a practicing Catholic. He also published magazine stories under the names Stephen Dentinger, R. L. Stevens, Pat McMahon, Anthony Circus, Irwin Booth, R. E. Porter, Mr. X and Ellery Queen. In 2001 he was named a Grand Master by the Mystery Writers of America, the first time a Grand Master was known primarily for short fiction rather than novels. He died at home in Rochester of a heart attack in 2008, aged 77. His wife was his only immediate survivor. He also wrote stories about Simon Ark, a possibly 2000 year old Coptic priest. The Sweating Statue tells how Monsignor Thomas Xavier is sent by the Cardinal to investigate a supposed miracle at Father David Noone's church. A wooden statue of the Virgin on the side altar seems to sweat. This keeps happening, and each morning there was a bigger crowd at morning Mass. When the local television station covered the story, "the church was jammed". Both David and the Monsignor try to discourage such a belief, for, as David explains, "No one is more skeptical than a priest when there is talk of miracles." But then Marcos, the church custodian, is found dead, and David does not believe that that it was a simple accident. In the end it is actually the Monsignor who realises what has really happened. It makes an intriguing story. It is included in the Murder Most Divine and the Detection A-Z (edited by McSherry etc) anthologies. The Arrow of Ice is set during the Mardi Gras carnival. Amongst the fundraising activities for Father David Noone's Church is the erection of elaborate ice carvings. At the same time, long-time parishioner Pat Fitzpatrick is mounting a protest about proposed alerations to the church" "Somehow the bishop's plans for a remodelled church, with a gathering place for worshippers and the altar moved out a bit so pews could surround it, had seemed a desecration of the church he'd attended all his life." Then the architect of the planned alterations is found dead in the rectory, "with a long sliver of ice protruding from his bloody throat". It is an arrow taken from the carvings outside. It was while David "was preaching a brief sermon on the day's Gospel when the truth came to him, as clear and blinding as the morning sun through the stained glass window above the altar." It is not the sort of truth that the reader could possibly have anticipated, but even so it makes quite an effective story. 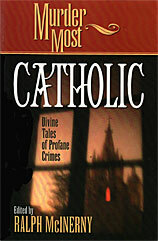 It can be found in the anthology Murder Most Catholic (ed. Ralph Mcinerny). Other short stories include Game of Skill, 1963, Searching for Sammy Sand, 1964,The Thing in Lovers' Lane, 1971, and The Hand of God, 2003, but I have not been able to find copies of these. I would welcome more information via my guestbook. The Wikipedia and Gadection sites about the author are informative and there is an interview with Hoch on the Mystery File site. There is an obituary of him on the Guardian and New York Times sites, and there are numerous other mentions. 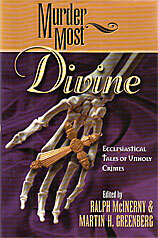 Used copies of the The Murder Most Divine and Murder Most Catholic anthologies may be found. The easiest way to find some of the stories is in anthologies. Most of them were first printed in Ellery Queen Mystery Magazines etc. from 1963 onwards. An exception is The Arrow of Ice that can only be found in the anthology below.